Unai is a 10-years-old boy who travels with his family on an extraordinary journey around the world. His father, nature photographer, has the mission to search for seven emblematic animals to photograph and communicate the delicate situation in which they find themselves. For over a year, following in his footsteps Unai shares with his sister and his mother experiences that convey an unconditional love for nature. Wolves, elephants, lions, bison, penguins, hornbills and crocodiles are the protagonists of this exciting journey across all continents. Genre: Documentary, nature, travel, photography. Producer: OHM Productions and Televisió de Catalunya. With the collaboration of P.A.U. Education and WWF. 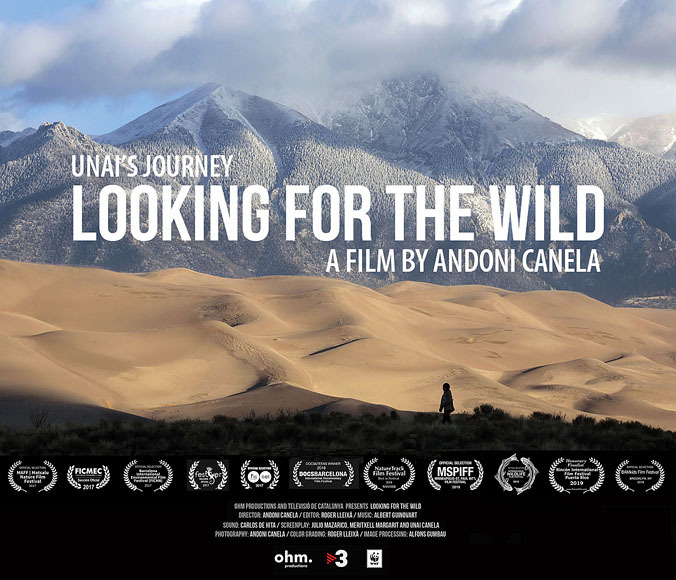 LOOKING FOR THE WILD (Unai’s Journey). Director: Andoni Canela. Music: Albert Guinovart. Sound: Carlos de Hita. Editor: Roger Lleixà. Script: Julio Mazarico, Meritxell Margarit and Unai Canela. Narrator: Unai Canela. Image treatment: Roger Lleixà and Alfons Gumbau. Animations: Cristina F. Zambrano. Design: Ainara Nieves. Translation: Claire Robinson and Frank Robertson. Production: OHM Productions and Televisió de Catalunya. With the collaboration of P.A.U. Education and WWF. INTERNATIONAL WILDLIFE FILM FESTIVAL (Montana, US). Official selection. April 2019. MINNEAPOLIS ST. PAUL INTERNATIONAL FILM FESTIVAL. (Minneapolis, US). Official selection. April 2019. RINCÓN FILM INTERNATIONAL FESTIVAL Honorary Finalist. (Puerto Rico, US). March 2019. BAM-KIDSFILM FESTIVAL. Brooklyn (New York, US). Official selection. March 2019. DOCSBARCELONA DOCUMENTARY FILM FESTIVAL. Spain, Barcelona, 2018. Docs and Teens Award. EYF -Environmental Youth Forum (DOCLANDS). United States, San Rafael. California 2018. NATURE TRACK. United States. California 2018. Best film award and ‘Connecting with Nature’ award. FICMA. Spain, Barcelona, 2017. Sol de Oro Petit FICMA Award. FESTIVER. Colombia, Barichara, 2017. Official selection. FICCAT. Spain, 2017. Audience Award. FICMEC. Spain, 2017. Brote Award. OCEJÓN. Spain, 2017. Best Film. OPERA PRIMA. Opening film Opera Prima Festival, Tudela 2016. CINETECA. Madrid. Film Premiere. September, 1st. 2016. Language: VO english, spanish and catalan. Extras: Making of and trailer. Audio: Dolby Digital 2.0: english, spanish and catalan. 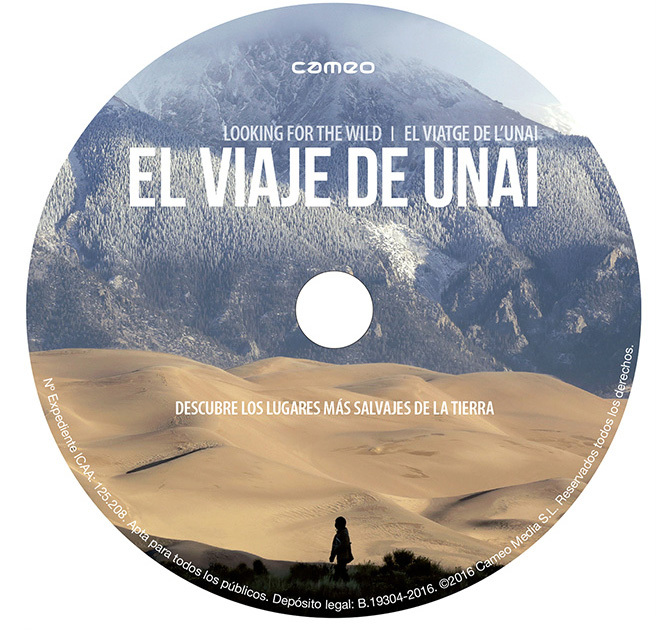 The book LA LLAMADA DEL PUMA (Looking for the Wild) is the story of a journey in search of wild animals. A large format book written in spanish with 272 pages and 150 photographs accompanied by texts, illustrations and drawings. The puma is the origin of a of fifteen months search between mountains, glaciers, forests, oceans, jungles and deserts. The book, with photographs by Andoni Canela and texts by Meritxell Margarit, gather the stories of ‘Looking for the Wild’, an educational project called Espíritu Salvaje.